The high street chain launched the pie on January 1. 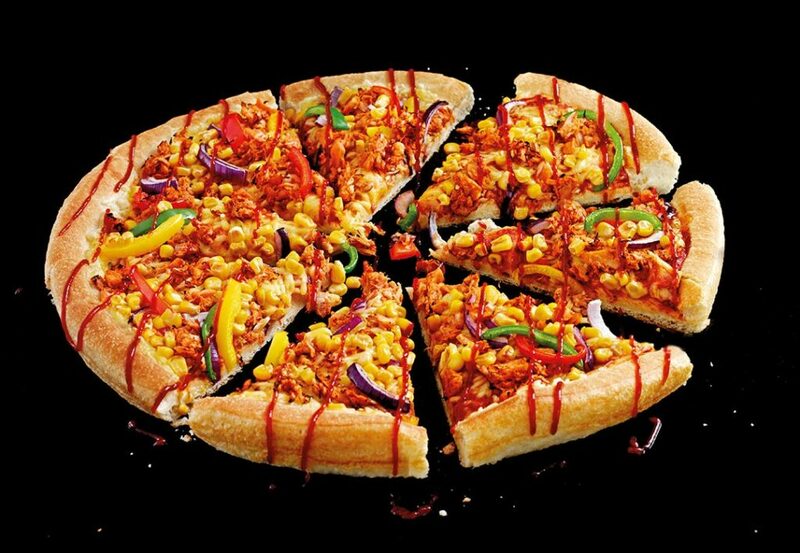 It features a tomato base, Violife vegan cheese, sweetcorn, red onions, peppers and BBQ Jackfruit with a BBQ drizzle. Pizza Hut UK has sold almost 10,000 of its new vegan jackfruit pizzas in just two weeks - exceeding expectations. The Vegan 'Jack 'n' Ch**se' Pizza (from £11.29) features a tomato base, Violife vegan cheese, sweetcorn, red onions, peppers and BBQ Jackfruit with a BBQ drizzle. All Vegan Pizzas are available on Pan, All American Thin and Gluten Free bases. When the chain launched the pizza on January 1, it revealed that if sales hit 10,000 by the end of the month, it would become a permanent menu item. Now it has revealed that sales reached 9,600 in just two weeks. Sharing its 'vegan-o-meter' chart on Facebook, the chain said: "WOAH! So close to the 10,000 target. Just need 400 more orders and our Vegan Jack 'N' Ch**se will be added as a permanent menu item." "Following the overwhelmingly positive feedback and awards we've won for our initial vegan range in 2017, we’ve responded to demand with a third vegan Pizza," Kathryn Austin, Director of HR and marketing at Pizza Hut Restaurants, said in a statement sent to Plant Based News when the item launched. "We're confident the Jack 'n' Ch**se Pizza will be just as warmly received! "We love innovating and giving our guests as much choice as possible and if this is as successful as we expect it to be, we’ll keep it on the menu for the foreseeable future."